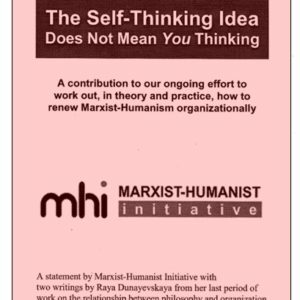 By Marxist-Humanist Initiative, 2010. 8 pgs. 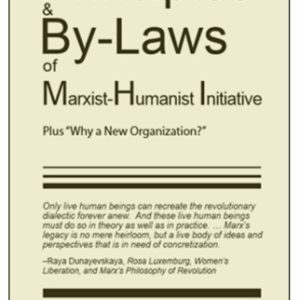 This pamphlet refutes claims in Peter Hudis's “Towards an Organizational History of Marxist-Humanism in the U.S.” that grossly misrepresent our members' past statements and, by implication, Marxist-Humanist Initiative's view of the relationship between philosophy and organization. 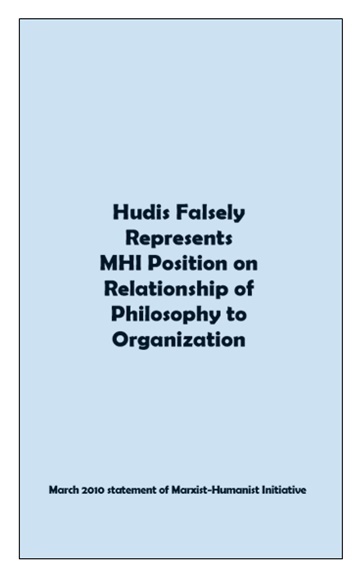 This pamphlet refutes claims in Peter Hudis’ “Towards an Organizational History of Marxist-Humanism in the U.S.” that grossly misrepresent our members’ past statements and, by implication, Marxist-Humanist Initiative’s view of the relationship between philosophy and organization.